What is a Driveway Extension? A driveway extension is widening and/or lengthening an existing driveway giving you more space. This is a plus for a variety of reasons covered in this article. Depending on your needs and how much space you have to work with there are many different sizes and options that you can choose from. 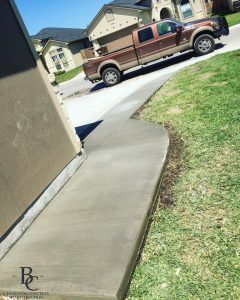 Adding a concrete driveway extension is a great option because it is maintenance free, strong and durable allowing your extension to hold up well to the elements. 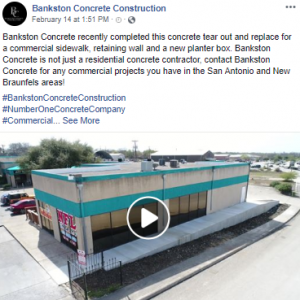 Having a highly rated concrete construction company, like Bankston Concrete Construction, put in a driveway extension will give you the peace of mind that your driveway extension will last a lifetime. Why do you need a wider driveway? There are a multitude of reasons why you would need an extension added to your existing driveway. Many people add a driveway extension for more space for vehicles, boats, RV’s and trailers. Another great reason is to provide extra space for your children to safely play without being out in the road. For example, a wider driveway can allow space for your children to play basketball. Let’s take a closer look at reasons why a driveway extension is a great addition to your property. Many driveways are barely wide enough for one or two vehicles. In either case, there is typically little to no room left on the driveway to walk. Driveways built wide enough for two vehicles don’t fare much better as the vehicles have to be parked so close together that you can barely open the doors. Many times driveways were built for a couple of smaller cars in mind. This makes it difficult to park and maneuver multiple bigger vehicles on and off your property without damaging your landscape. Adding a driveway extension, depending on the size that will fit your area, can add enough space to park another vehicle when you have guests at your house or possibly your teenager starts to drive. The extra space can also be used for recreational vehicles or boats. No matter the type of vehicle, it is always nice to have more space to work with. A lot of families with young kids decide to add a driveway extension on their property not only for more room for the bigger vehicle that they have acquired due to their growing family, but also for more space for recreation. Whether it be for an area for a basketball hoop or even just an extra space to ride tricycles. If you have a basketball hoop on your driveway but are always having to move vehicles around so your children can play then you can relate I’m sure. You can’t go wrong with a little extra space especially with a growing family. We’ve all been there the moment when its raining and you park a little too close to your front yard forcing you to step in the muddy mess of your yard. This can ruin your shoes and your landscape. By adding a driveway extension you no longer have the hassle of dealing with the mud and dirt as well as preventing ruts and damage to your yard. 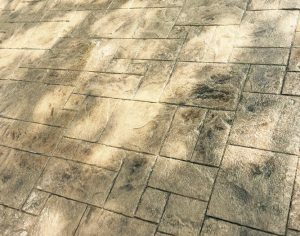 Staining options for a driveway extension enhance the look even more by bringing warmth to the concrete. Giving the concrete extension more of a finished look which in turn adds appeal and value to your property. How much does a driveway extension cost? 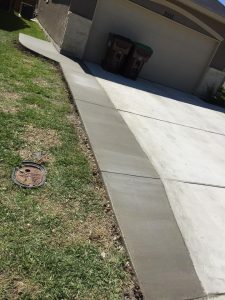 Your best option is to get a free estimate from a reputable concrete construction company. At Bankston Concrete Construction, we specialize in driveway extensions of all shapes and sizes. 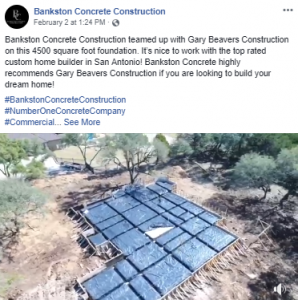 With over 50 five-star reviews, we’re proud to be the highest rated concrete construction company in San Antonio and the surrounding area. We’d love to provide you a free estimate on a driveway extension that you’ll love for years to come. 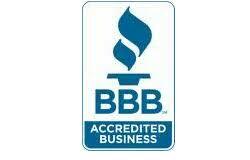 Give us a call at 210-845-4240 or request an estimate online.